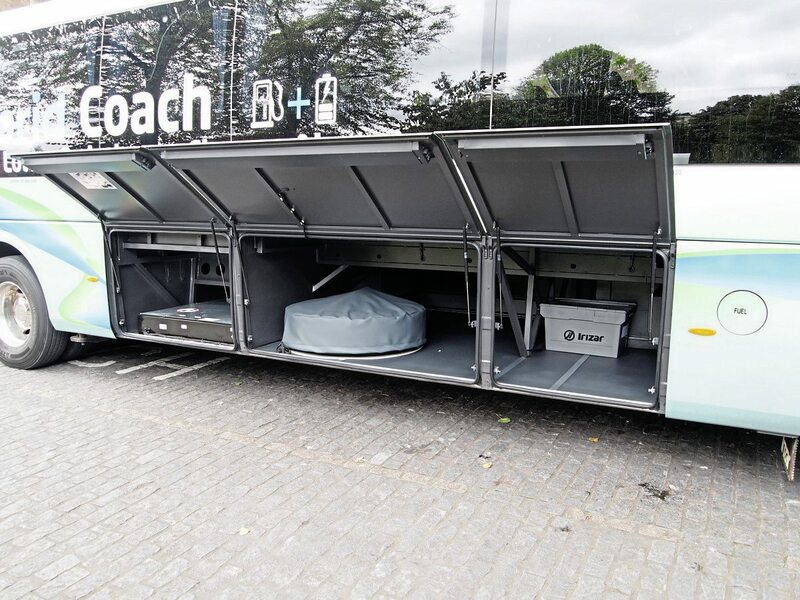 How is the Irizar i4H faring on its trial? And what other developments are on the cards for the West Midlands operator? First in line to trial the Irizar i4H hybrid coach in not only the UK, but northern Europe, is Travel de Courcey (see B&CB 1442, 11 August 2017 for our coverage of the announcement of this vehicle). 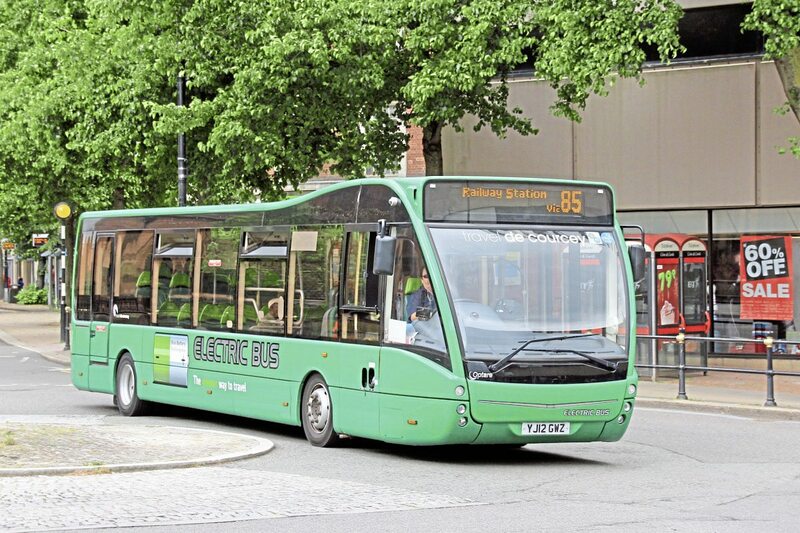 Operating green PCVs is nothing new for CEO, Adrian de Courcey, whose fleet includes electric Optare Versas. 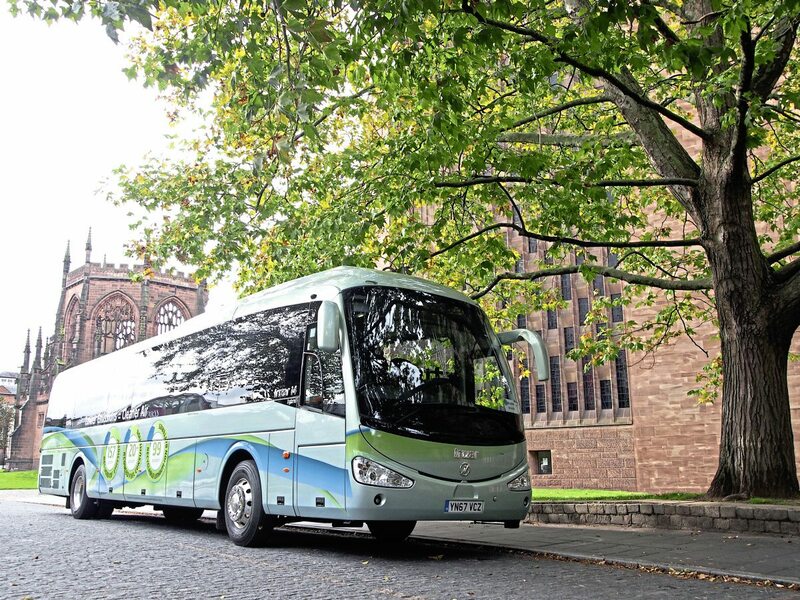 It is an exciting time for the operator, which is not only trialling this new coach but in the process of redeveloping its Coventry site with a new workshop and offices. To talk about the trial and the other developments, Chris Peat met with Adrian, who, to add further to momentous events, recently got married. 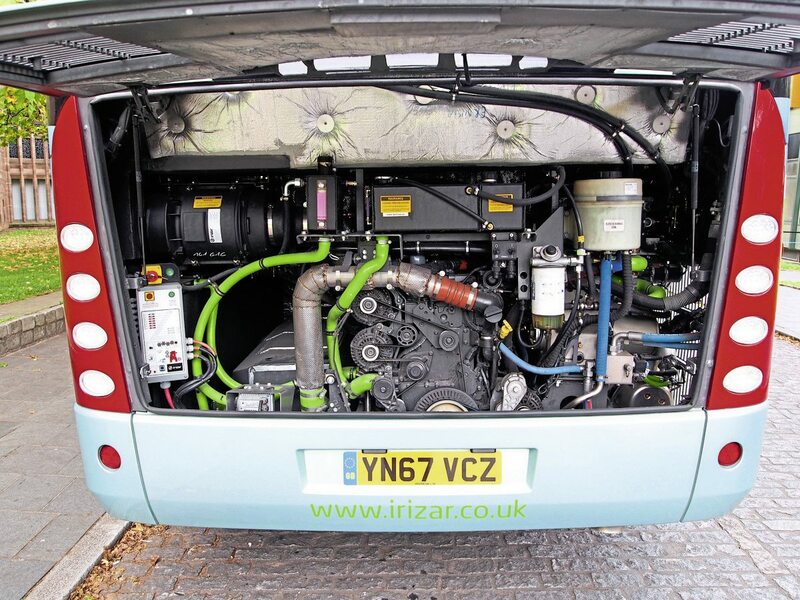 Irizar UK officially showed off the i4H hybrid at its iDrive event in Rockingham in August this year. However, Adrian and the dealer had been working on trialling the coach prior to this. 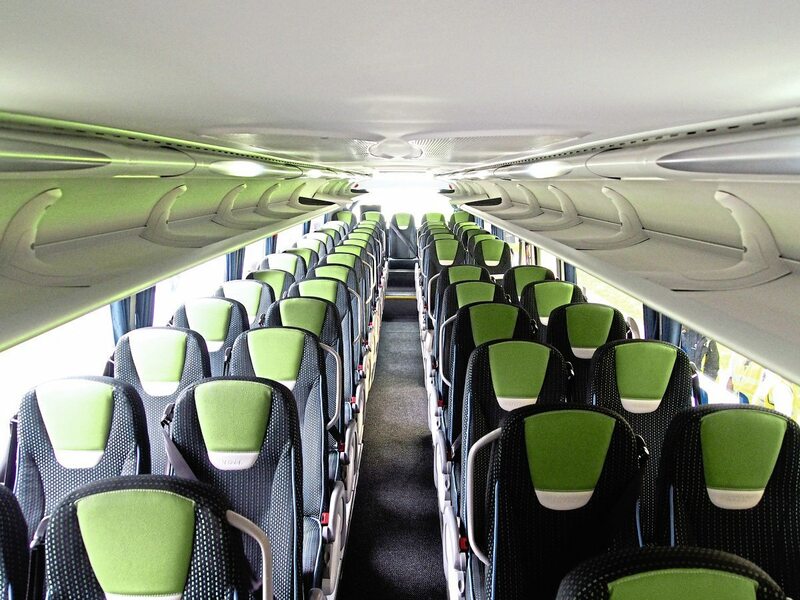 Before that even the coach had been successfully used on commuter services in Madrid. Settling down in his office on a breezy autumn day, Adrian said he has the hybrid until 20 October. “Environmental concerns are pressing”, he noted and running a hybrid could prove an advantage with some customers. The frequency on these services, some of which do 60-mile round trips, depends on the time of day. The fact it is a 57-seater helps with rush hour traffic, according to Adrian. Jaggi Randhawa from the company said: “The routes are quite varied, with some quite short and others longer.” Travel de Courcey uses Caetano Levantes on the JLR routes, as well as a mix of other vehicles. The majority of them are to luxury specification. The i4H was due to be put on its first private hire service the week following the author’s visit to the depot. This was expected to be a long-distance run, a 300-mile round trip. “I’m very confident it can do that,” Adrian said. He believes it will give a good idea of how the electric motor fares. Adrian and the rest of the management team seem to be impressed with the vehicle, but what do the drivers think? Delrick and Besley Reid, or the twins as they are affectionately known at Travel de Courcey, were selected as the drivers of the Irizar i4H. The identical pair was enthusiastic about being given the coach. “I like it!” Said Delrick. “It’s sheer comfort,” commented Besley. 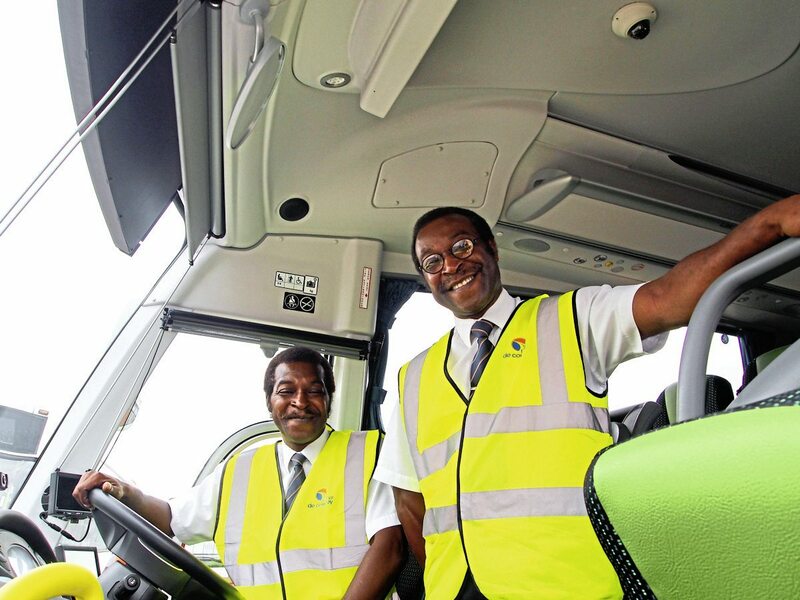 Travel de Courcey has certainly put some experienced drivers behind the wheel of this vehicle, with Delrick having driven buses and coaches for the past 20 years, while Besley has been doing the job even longer. It is somewhat of a family profession, with their sister and nephew also driving PCVs. When not driving coaches, the pair can often be seen on the roads on their Vespas. Scooters are a lifelong passion for the pair. 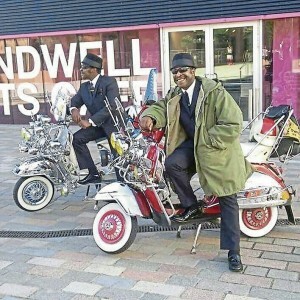 According to Adrian, they are big names in the scooter fraternity, appearing several times in scootering publications. 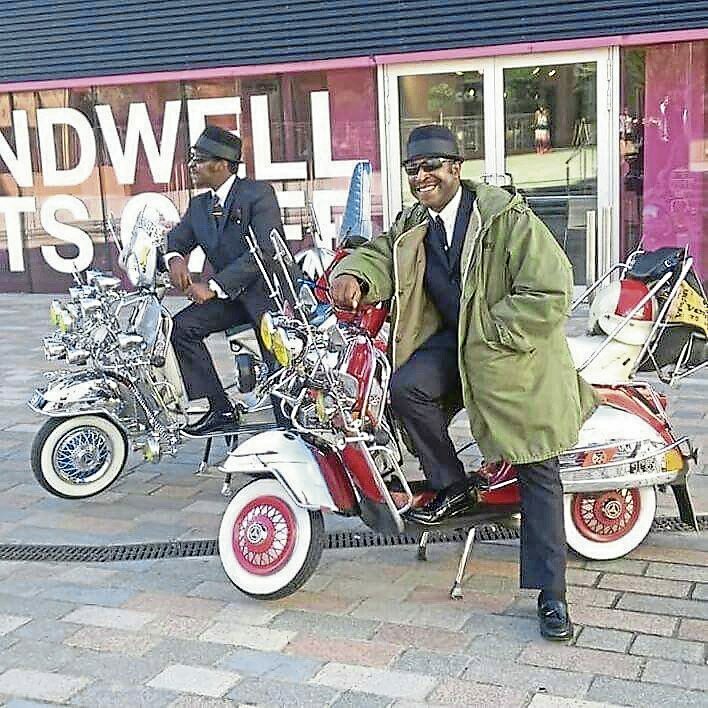 Delrick enthusiastically described the difference between the different tribes within the mods sub-culture, proudly nailing his colours to the ‘townie’ style. With full electrics, he brought up the issue of whether we want to be zero emissions just at the tailpipe. Electricity has to be made somewhere and in this country, it largely involves burning coal. Harmful emissions are not given off directly by electric vehicles, but they are made none the less to power them. 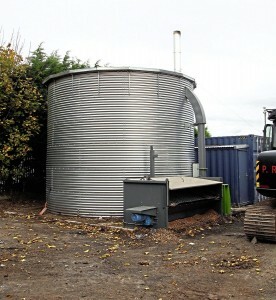 A new wash system is about to be installed at the Coventry site. 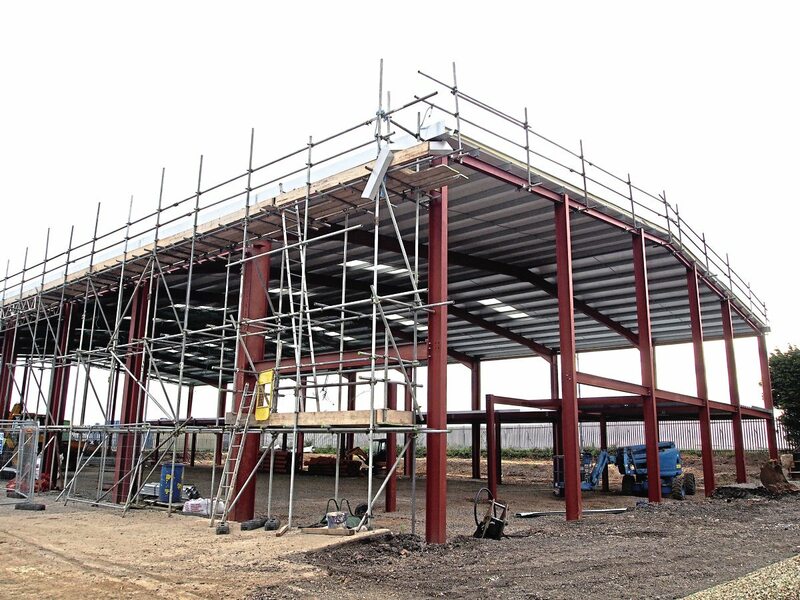 The work is going to lead to what Adrian described as a “super depot” with new workshop facilities featuring eight bays. The new facility will also provide fresh offices for management and admin staff. 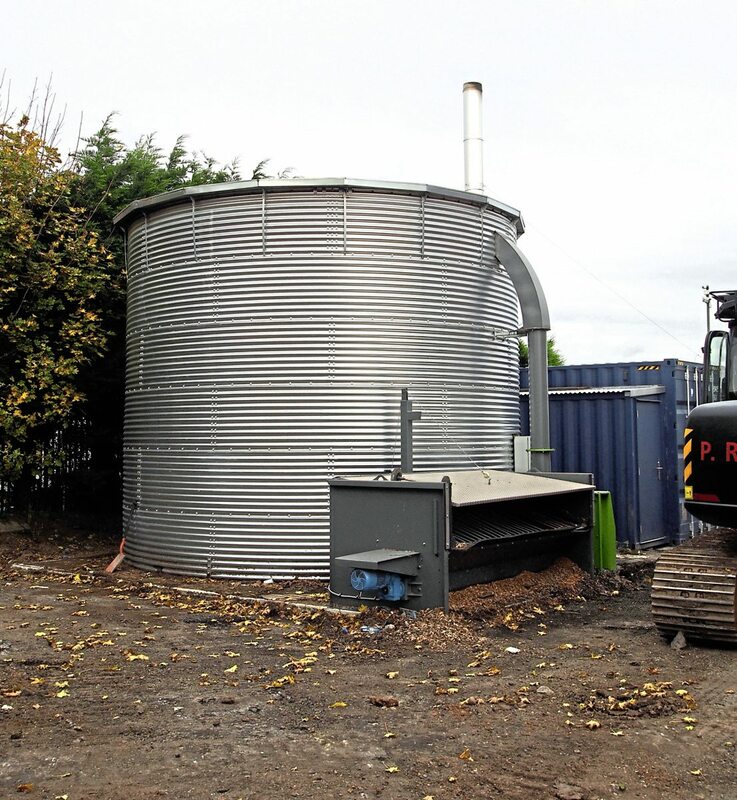 Wireless mobile column lifts are to be fitted, which should help save space and a Premier Pits inspection pit has also been installed. The building will also feature a new recreation room for workers. Jaggi had the idea of installing a gym here, but a poll amongst drivers is overwhelmingly in favour of a pool table. He is still hopeful though! There will also be showers for workshop staff. The current site, which it moved into in 1981, is becoming cramped, with the development allowing it to better use the space in its yard. The work represents the company’s biggest ever investment. It has used three different systems in the past decade, the latest being Lytx. 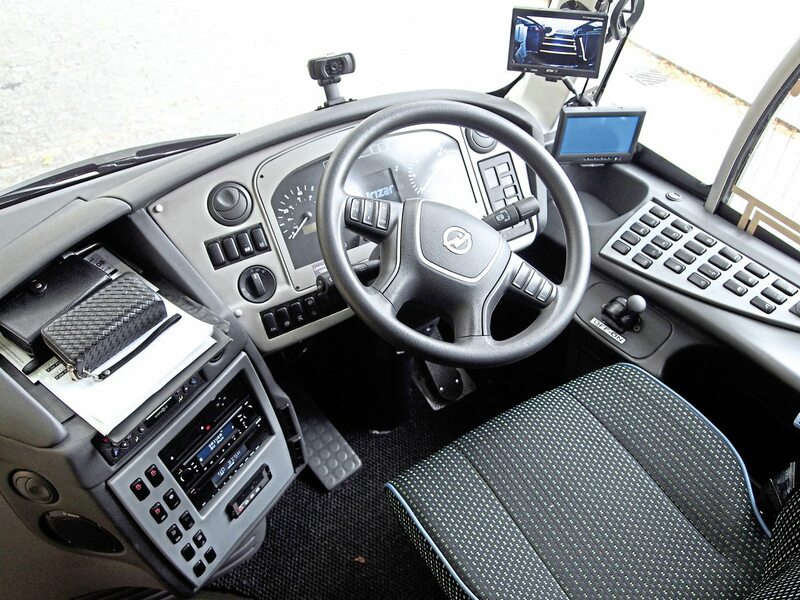 It uses the technology to identify its best performing drivers and provide them with financial bonuses, in some cases up to an extra £2,000 a year. “Because of that, everybody buys into it. It’s really helped us. When we were growing, it meant our risk increased. We had to be careful in monitoring this risk. However, we are now self-insured and telematics helped us do that. 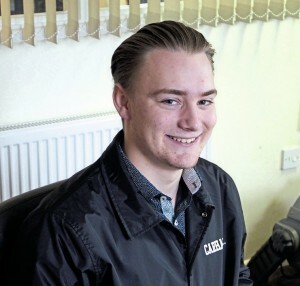 Not only has telematics helped, but finding its niche in the type of work it does has aided the firm too. Its work is much more contract based rather than providing holidays and day trips. For instance, in 2012 it won the contract to run the shuttle buses at the NEC. One of the reasons it was successful was because it was one of the only companies willing to work with the exhibition centre on geo-fencing the buses, seeing its telematics system used to raise alarms if the buses divert from their route. The need for this rises from the arena being classed as a potential terrorist target. When walking through Travel de Courcey’s depot, it is notable how many younger faces there are. Adrian said the average age there is 39. Perhaps one of the most youthful staff members is Sunny Guraya, an 18-year old management trainee. Despite his tender age, Adrian said he has been given weighty tasks to do already and joins other managers in meetings. The company gives out birthday cards to employees and they get a day off on their big day. “We often have pizza Fridays and go bowling and have movie nights. Although we don’t tend to do movie nights anymore, there were disputes about the film. We watched Jack Reacher with Tom Cruise in it, it was bad. We will go to the rugby and see the Wasps play. Doing this sort of thing is pretty important.